When it comes to their home, most property owners take great pride in the overall appearance and quality of their castle. However, not every citizen is keen to the importance of keeping their home’s gutters in optimal condition. As a provider of professional gutter repairs in Louisville, HCI Roofing and Construction knows how vital this area is for the safety of your home. 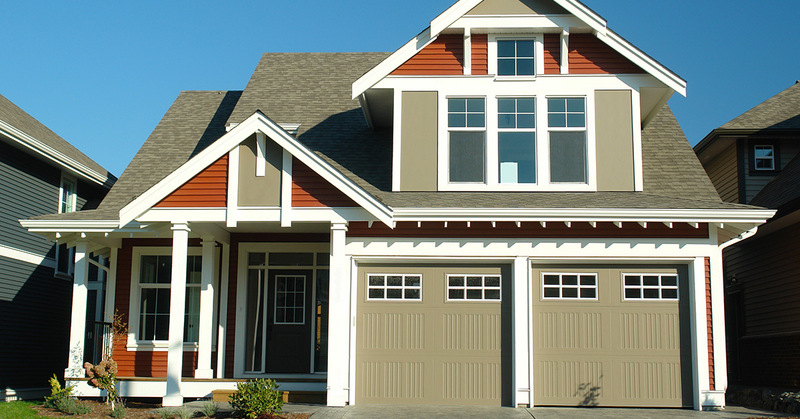 Our knowledgeable experts specialize in roofing and gutter installations, railings, and exterior improvements. If you are in need of repairs for your Kentucky home, HCI is here to help! Today, we’ll take a cursory look into the why your house’s gutters should be a top priority. Keeping your seamless gutters up to speed can be very beneficial for the health of your home! As many people are already aware, gutters are tasked with transporting water away from the home. When those gutters are in a state of disrepair, rainwater can pool up at ground level surrounding the perimeter of the home’s foundation. Once H2O is introduced to the concrete holding your home in place, that water will start to work its way inward. 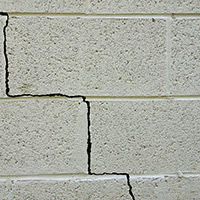 Increasing the amount of water in concrete will cause structural issues, especially when freezing occurs. Water will turn to ice and expand. If left alone long enough, your moisturized foundation will crack and move, causing a number of issues for the walls, seams, windows, and roofing. Your gutters are designed to effectively move rainwater away from the home, preventing any of these unpleasant issues. Another aspect that people do not think of when in need of gutter repairs is that of flooding. While your home’s foundation can suffer over time due to water exposure, heavy downpours can result in water flooding into your basement. Even if you believe your property to be high and dry, improperly functioning gutters can quickly turn your basement into a water park. HCI Roofing and Construction can help to repair your gutters and avoid this costly problem altogether! When water is left to build up in your gutters, it can cause a number of problems to the exterior of the home. Overflowing H2O will run out and over walls, doors, windows, or anything that happens to reside below. Excess water exposure to these hardy surfaces can result in warping and rotting, both of which sabotage the value and effectiveness of your home’s exterior. Water weighs roughly 8.34 pounds, which means that an extended period of stagnation in your gutters can equate to fascia damage. The wood that your gutters are attached to can hold a lot, but excess rainwater can cause accelerated wear and tear. If bad enough, your gutters can even detach from the house, creating a dangerous and expensive situation for the residents. Safety should be a key focus for any homeowner. When gutters are not operating properly, the resulting hazards can be very troublesome. Precipitation can increase the risk of someone sustaining a slip and fall on the property. This can be especially true during the colder months when runoff water is landing on walking surfaces and freezing. It is always a good practice to keep residents and guests safe on your property, and hiring professional gutter repairs can help with achieving that success. Unfortunately for Kentucky, the prevalence of pests can create a not-so-fun predicament for many homeowners. Invasive pests, from termites to rats, seek out moisture. While your flooded gutters may become a breeding ground for mosquitoes, the prevalence of water in the basement can attract new rodent roommates. The winter months can be even more risky when critters are seeking a warm shelter that provides sustenance. Invasive water and structural gaps can create the perfect environment for pests, which are both an environmental hazard for humans and an expensive fix based on the severity of the situation. Calling for professional help can save you from paying out for pest control as well as roofing repairs. Moisture and weight can work in tandem to cause a number of issues for your home’s roofing. Excess water exposure will cause issues with the wood construction, rotting away at it until roofing repairs are required. When your roof begins to rot and sag, the costs to fix it can quickly add up. Unfortunately, putting off the repairs at this point will only make things worse, incurring additional restorative costs. Your best bet for avoiding this headache is to contact your local roof repair company for an inspection. Your home’s gutters do more for your home than we have time to mention in our blog. Keeping everything in working condition is vital for protecting your home from unnecessary damages. Calling a professional may cost you up front for the preventative measures, but in the long run, you may end up saving thousands. 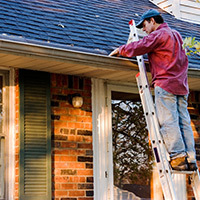 HCI Roofing and Construction is here to provide professional gutter repairs to Louisville residents and beyond. Our focus on customer satisfaction and top-quality repairs help to make us your Top Rated Local® roofing company. Feel free to contact us today to receive a free estimate for your home!